Otto, the gentle giant, lives in the magical kingdom of giants. Otto loves his pet chicken, Clara, so when a human named Jack climbs up a beanstalk and steals Clara, Otto must search for Jack. While looking for Jack, Otto meets many other Jacks from different nursery rhymes before he finds the Jack that has Clara and takes Clara home. 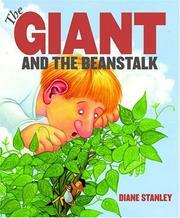 Stanley, Diane, “The giant and the beanstalk,” Children's Picture Book Database at Miami University, accessed April 19, 2019, https://dlp.lib.miamioh.edu/picturebook/items/show/13439.